The magnificent Georgian mansion house was the centrepiece of a 900 acre estate with its grand gardens and vistas. The clay to make the bricks was dug from the nearby Apley Pool. Sadly, it became too expensive to maintain and on 18th November 1955, the entire house was dismantled and its contents sold off. St John Charlton (Francis Charlton's grandson) willed his residuary estate to his son St John on the express condition "that he expands the residue on building a convenient Mansion House, with proper offices and other improvements on the site or near Apley Castle, for the habitation of himself and his family". Plans for the new house were approved in October 1791. 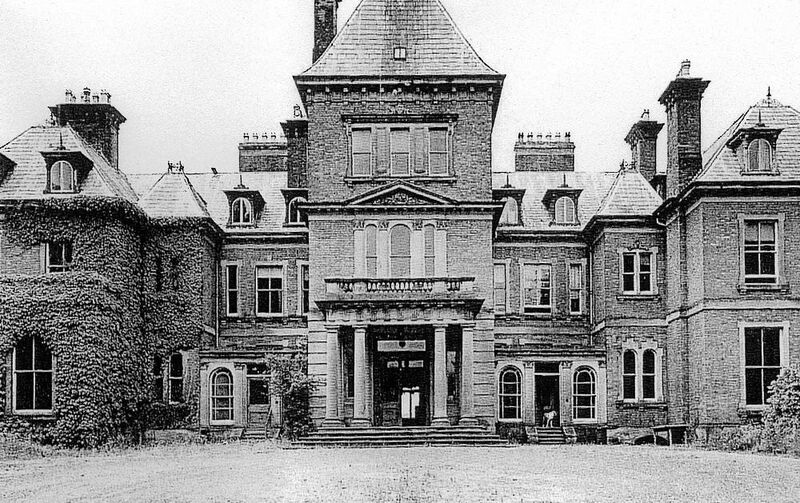 Costing £4,622 and 8 shillings, the contract stipulates "The bricks to be made on the estate. Anything required to be taken from the old house, which at the same time is to be turned into the stables and outhouses." 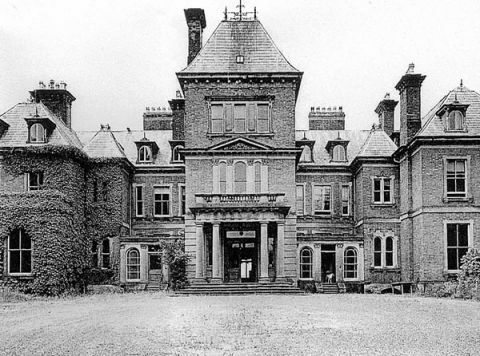 The mansion was of the Georgian style with tall Corinthian pillars to its entrance porch, from which a drive of considerable length led to the town of Wellington. St John Charlton Chiverton, born 1799, inherited the new house and married Sophia Meyrick a rich heiress in 1820, later the family name was changed to Meyrick. He ordered the construction of a French Gothic facade to Apley, laying out an elaborate garden with terraces and parterres. 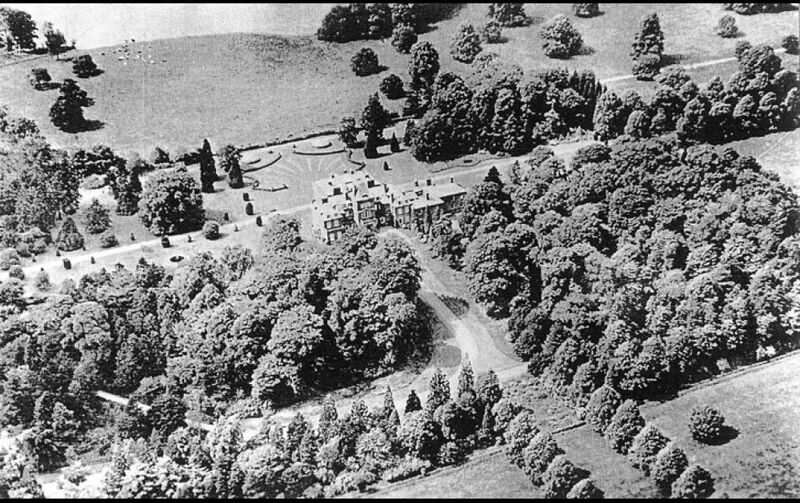 The Apley Castle of this period was an imposing mansion, approached from the main road by a stone lodge and then along a drive extending over a mile through a well wooded park. A second gate gave access to the inner park and ornamental garden, which were well kept and artistically arranged and compared favourably with, or if not surpassed, any to be seen in the country. Attingham would have been one of the comparisons. The estate also included a square walled garden built in 1795, connected to the House by a path known popularly as "Her Ladyship's Walk". The garden provided a mixed crop of flowers, vegetables and fruits including, surprisingly, pineapples. Adjoining the East wall of the original medieval garden is an Ice House, which stored ice taken from the Apley pools when frozen over in winter, and a Dovecote. Throughout the 19th century members of the Charlton family distinguished themselves as soldiers in the Indian Wars and in the Crimea. Whilst serving in India, Captain St. John Chiverton Charlton, an able botanist, is credited with the discovery of the tea plant, whose subsequent cultivation contributed much to the economic development of India.